Me, my work, and the Bauhaus. Warp and weft. The intersection of two lines. So much part of my work yet I’ve never woven a thing in my life. For a short period the Bauhaus school made a successful attempt at formalising formalism – the thing, the form. A school of form. Gesamtkunstwerk again. And the Bauhaus ladies got to work weaving things. Things to put inside the buildings the Masters were designing. 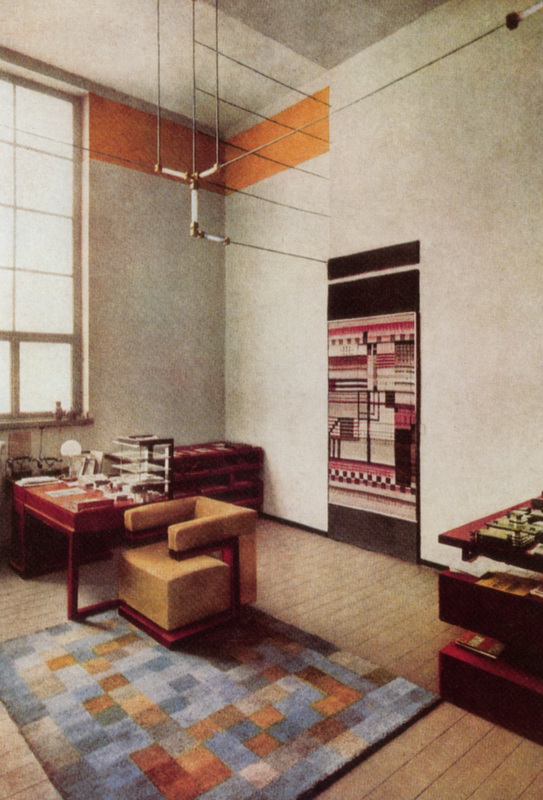 Gertrud Arndt produced this rug for Walter Gropius’ office. Else Mögelin designed the wall hanging. Walter did the furniture. Gunta Stölzl was the lady behind the success of the Bauhaus weaving workshop. Eventually she became the only female Bauhaus master. Anni Albers said she had almost an animal feeling for textiles. 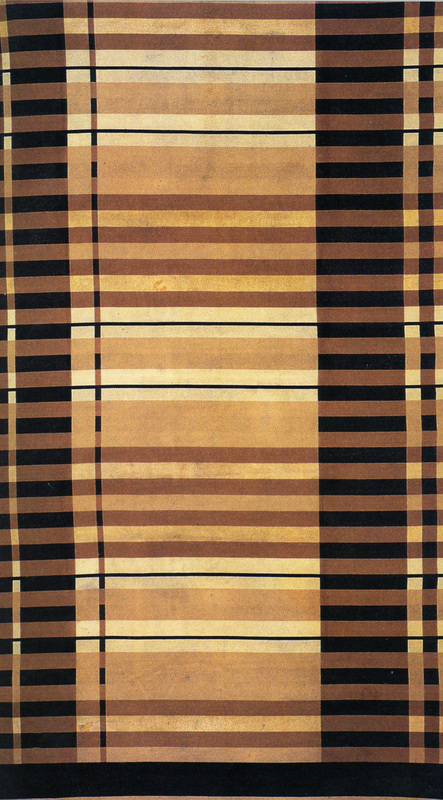 This blanket was designed for the sleeping alcoves at the Bauhaus. After the Bauhaus was closed down by the National Socialists in 1933 the ideas of the Bauhaus quietly spread as former members (Mies van der Rohe) and students (Anni Albers) took up posts in other parts of the world. Silly me for calling the lovely lady a man!